1. Wash, peel, core and dice the apples. 2. Grind them in a mixer grinder to make the pulp. cook until a thick consistency. 4. Stir occasionally to prevent scorching. The jam should be thick and easily spreadable. 5. When it’s done, add the lemon juice and mix very well. 6. Switch off the flame and let it cool completely. 7. Store in a sterilized jar in the refrigerator for a couple of weeks. Homemade jams are so good …love this especially because its totally natural and preservative free. Love the different flavours in this jam. Almost like one of the fabindia kind ! 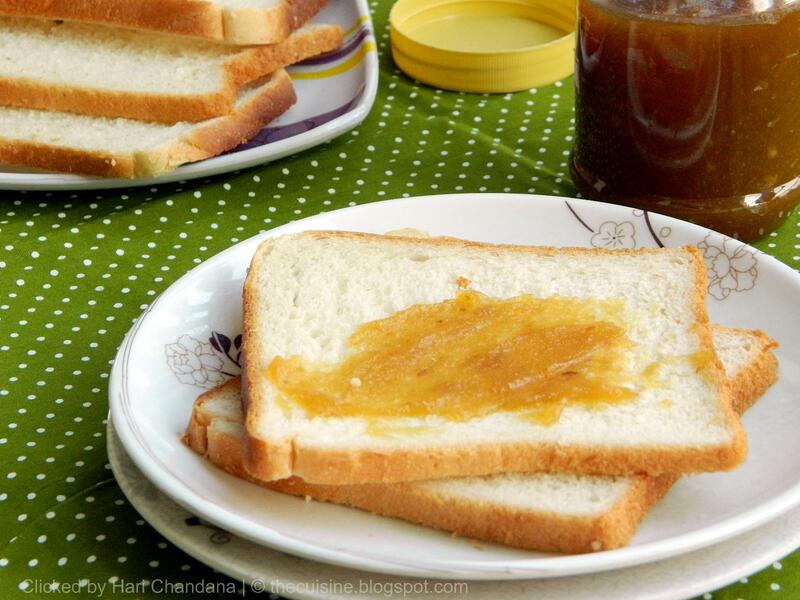 would love to try this spicy version..
Homemade jams are always a bliss…love the flavour you have given to the jam…. Seriously, this is one delicious jar of jam. Yummy! Nothing like homemade jam, awesome flavors and looks delicious! Nothing will beat the homemade preserves,loving this spiced apple jam. homemade is always the best…. 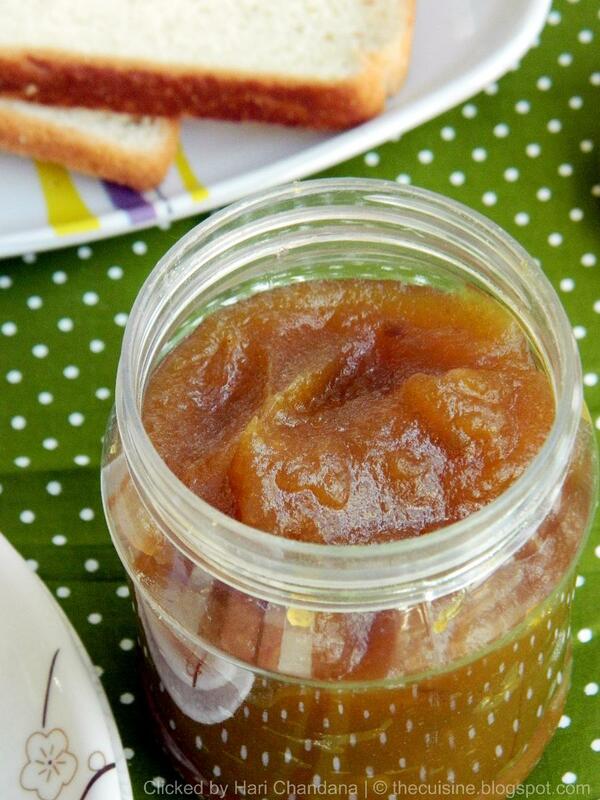 Delicious apple jam with ginger. Delicious homemade apple jam with ginger. delicious homemade jam,I miss making in home..
Love the different flavours in this jam… ginger and spices– makes me drool. 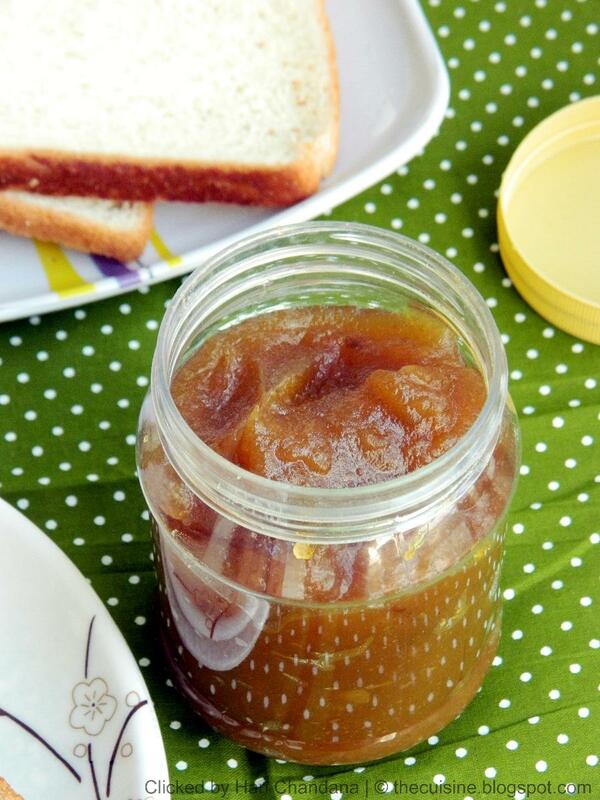 SPiced jam with apples looks so perfect and yummy..Nice clicks too..
Never tasted apple jam! Looks yummy! Jam came out great! Goes with everything as a side. It filled the house with a wonderful heavenly aroma too. Thats an awesome recipe I had been looking for. I am keen to add a savoury element to this jam, do you think ginger would be fine? If not, then what would you suggest? Also if I want to preserve it for a longer time – what should be done? Thank you so much. Ginger, cinnamon and cloves are just fine to my taste. You can add allspice if you want. Sorry for the late reply.